We’ve saw an exponential amount of growth over recent times here at Neo Granite, and with this comes to opportunity to not only create bespoke pieces of work, but to collaborate with incredibly talented people. It’s because of this recent collaboration that we we’re part of KBB Birmingham, which is an event in which celebrates creativity and explores innovation in the creative industry. We recently had the opportunity to work alongside Colin Wang, who is a wonderfully creative designer who was a pleasure to work with. Together, we we’re able to make Colin’s vision a reality and create what is now known as ‘Arctic’ Arctic is an unconventional worktop with a jagged edge which was masterfully carved out to give a rugged yet contemporary look. 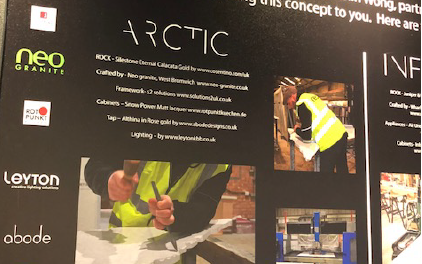 Arctic was part of the ‘Concept’ stand which Colin was the orchestrator of. This stand had a sole purpose to demonstrate just what was possible by thinking outside of the box and by pushing the boundary of what we see as ‘traditional’. It’s installations like this that is meant to ‘give power back to the designer to create more thought provoking designs which have a real sense of permanence’. Included in the display was a nod to the Neo Granite team who worked to create this, with not only the help of state of the art machinery, but with traditional stonemason hand and knowledge. There was a beautiful Champagne reception for this on the opening day of KBB to launch this, which not only celebrated the vision of Colin, but the love and care that went into taking this idea and making it into something real. This piece of craftsmanship was not only meant to be different than anything else on the market, it was meant to be fit for purpose which is exactly what it was. When putting this together we spent time in considering how we could make it a functioning worktop that could slot right into a home while not detracting from how significant it is. We are incredibly proud to have participated in this, and we will look to continue in the future.  We’ll make sure to keep you in the loop with what we’re up to in the coming months, thank you.